Sharon Mill is a dark curly haired Jew who works in South Center Mall. Mushky Notik is a dark curly haired Jew who shops at South Center Mall. It is in the busied kiosk-laden, people packed center of this mall where they collided. He saw her from afar and made his ever so smooth approach. "Yew hov natrally cerlee hair, yes?" He drew closer with speed, armed with a straightener and trained sales skills. My sister tried rushing on, not remotely interested. And anyways, her hair was in perfect curls that day - she wasn't about to give that up for his attempt to sell a product she surely wouldn't buy. My hair wasn't even curly that day. More wavy. But still, before I know it, Sharon is straightening my hair. I'm talking silky smooth. Like no straightener I have ever experienced (if you can say that about a hair straightener). He is peppy, friendly, and adorable. There was nothing sleazy, insincere, or scary about him. After he proves the unequivocal virtues of the product, I try to make conversation. I learn that back in Israel he lives on a Kibbutz, where he has plenty of family. He came to America because, like all the other Israeli kiosk maestros, he has an adventurous spirit and the will to do whatever it takes to make some money. He has no idea how he ended up in Seattle. He just knows he hates New York. And California for that matter. We both share Tzfas as our favorite Israeli city.What was I doing in Tzfat? Learning in a Chabad school. If he hadn't been warm up until now, he definitely perked up. When I told him that I now live in New York, he said, "Oh, in Queens?" I smiled, and reminded him that, although, yes, the Lubavitcher Rebbe's resting place is in Queens, the Lubavitch community is in Crown Heights. "Sharon," I say, "you gotta come to my house tomorrow night for Shabbat." As soon as I mention Shabbos, he rolls his eyes and mumbles, "No, no, I don't..no no." The quick wave of his hand and one eye half closed sends the signal I've received from many Israeli's before: I don't do Shabbos. I try to respond lightly by saying, "Who cares? Come! We have good food, my parents are so cool, and Friday night at my house is always fun." Once Sharon realized that coming for Shabbos came with no strings attached, he seemed genuinely interested. He even mentioned four friends who he would "have to" bring with him. With my sister - who by this time had some strands straightened herself - also encouraging him, he had no choice. After inquiring into what time we eat and where we live, he scrambled for a paper and enthusiastically gave us his e-mail address and number. I had done the unthinkable. I swapped numbers with an Israeli. But Sharon broke my heart. That night, I sent him an e-mail. I called him. I left a message. I called him again. Before Shabbos, I called him again. And again. Never a return e-mail. Never a return call, if it was indeed his real number (strange voice mail). It was hard to accept, you know? I mean, I was so genuine. I was so excited to have him (and his posse) over. I thought he was excited, too. I just don't understand why he never responded. By know, who knows? He's probably already left the kiosk-world and added Seattle to his list of cities he hates. Which never would have happened had he come to my house for Shabbos. Maybe someday I'll run into him. I'd notice that curly fro from anywhere. But until then, all I have is a number to nowhere, an e-mail address to a full inbox, and a pretty good straightener that - even post discount - I paid way too much for. I dream things that never were and say, 'Why not?'" I want to be with you. In your time of need, in your time of unrest. In no time at all. I miss your smell. Stone and sand and spices and a slight burning. I miss your sound. Engaging chatter and violins and a vibrant language. I miss your people. Sometimes divided but forever alive. I miss your style. Joyful and resolute and oh so honest. But most of all, I miss your friendship. I miss the secrets you whispered in my ear. When I felt like crumbling, you were there to hold me up. When I screamed and cried, you let it resonate in your walls. When I laughed, you made it real. You let it live. With you, I could be whatever I wanted to be. And you made me want to be good. Just good. You loved when when I didn't love you back. Yea, you never turned your back on me. Now they want to divide your holy city. And I am ignoring your cries for help atop a throne across the sea. Yea, I'm just going to say it. I am ignoring your cries for help atop a throne across the sea. Wondering if my prayers can reach you. 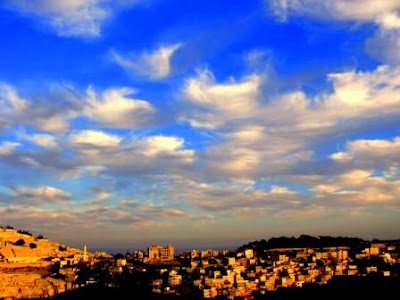 Jerusalem, in your time of need....I am helpless. You loved me when I didn't love you back. You never turned your back, no you never turned your back on me. You were always the strong one. And now I am digging my knees on American soil. I had a skip in my step as I made my way into the Jewish Children’s Museum. After a beautiful walk and an inspiring class, today was going to be good. It was around 9 a.m. as I made my way towards the elevator in the Museum’s silent entrance hall. I pressed the up button and the elevator door flung open. I had one foot in the door way when I heard a sound and stopped. To my right, the video screen that normally plays lively clips of the Rebbe was motionless. In place of a lively farbrengen, a niggun, talks and handing out dollars, there was a still image, an up close black and white picture of the leader of our generation. All I hear is heavy breathing and a deep, almost silent, crying. It becomes clear that I have walked into the middle of something. I take my foot out of the elevator. I am not going to leave the Rebbe’s tears to meander unheard through this quiet lobby. Rebbe, I am here. Through an audibly pained voice, the Rebbe continues. He is championing and defending the objections of the Jewish people. He is expounding on the suffering in the world, asking how us mere flesh and blood can handle it any longer. He is questioning G-d’s expectation that we yearn every second for Moshiach. In only the way that the head of our nation can do, he is crying out to G-d on our behalf, joining us in our protest. The Rebbe cries and the blood inside me is immobile and rushing at the same time. 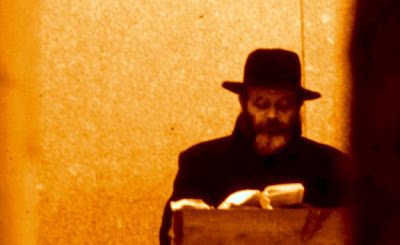 To grasp the thoughts of the Rebbe while he cried is totally beyond me, but there is nothing like the purpose, honesty and power in his tears that can bring the depths of my soul into such sharp focus. After you hear the Rebbe’s cry, it is impossible to be me-centered. It is impossible not to care. It is impossible not to try and believe just a little deeper. Who has ever cried like that? Who will ever cry like that again? I need to hear the Rebbe crying more than ever, but I can’t. I can’t actually see his eyes water and the tears flow down his face. All I can do is try to pour tears the same way he would. For the same nation. For the same desire. For the same fight. Two days ago, on my birthday, I woke up at 5:45 to go walking down Eastern Parkway. After a nurturing Pesach, resolutions are aplenty and the strength is coming from above. This morning, after walking, I went to a shiur. That inspiration, too, came from above. And then, in that very class, the maamer we learned spoke about arousals pouring down from on high, and how the excitement doesn’t manifest unless you resolve personally to make a dent inside where the light can nestle. This past year, there wasn’t so much arousal from above. This past year was a little more routine, a little more questioning, just a little more “I’m-up-against-a-wall.” In stark contrast was my time in Tzfas - a six-month soul retreat that that produced a new path in life, tremendous revelation and insight and (if I can say so myself) some magnificent, head-on writing. Visions of a stronger and more inspiring Mimi were, well, haunting me. But something has clicked into place recently, and this year is going to be different. This year, I’m not going to compare Mimi anymore, not even to myself. This year, I’m going to take the light from above and do my part to give it an everlasting dwelling. This year, I ask G-d to take me seriously and to expect a lot. Hashem, bless me with continued strength to run in the direction of my dreams, to fulfill my potential with strength and vigor, and to constantly be moving, whether it's down Eastern Parkway or life’s other colorful and often winding paths.